We are learning from Mother Nature. We develop and produce high quality bevarages and foods that help maintain and improve our health. For all people who love distilled spirits. We have been providing shochu for more than 100 years. Sadanobu Matsunaga started a brewing business in 1901,which Sadao Matsunaga exnded into the Tensei-shuzo company in 1954.Since then,we have been developing products with new brewing technologies.Our goal is to make shochu, a unique Japanese sweet-potato based distilled alcohl,popular all over the world. Kojikin, or koji mold spores, which grow best in the Japanese climate, is “seeded” in fermentation agent for shochu. Making rice koji requires a lot of skill and experience, and koji has a considerable effect on the quality of shochu. Rice koji, yeast and water are mixed together to make our rice-malt-yeast culture. Steamed satsuma-imo is added to the culture and fermented to form “moromi” , or unrefined alcohol. Alcohol is distilled form moromi in the distilling plant. Distilling is also an important process, as it affects the quality of the spirits greatly. Our products are derived from what we call Hayatare Joryu, or the middle-cut alcohol, which provides distilled alcohol with the best palatability and flavor by eliminating the “shoryu” and a latter oart of the “hontare” extractions. As shown in the diagram,there are several stages (shoryu, hatsutare, hontare and suetare) in a single distillation. 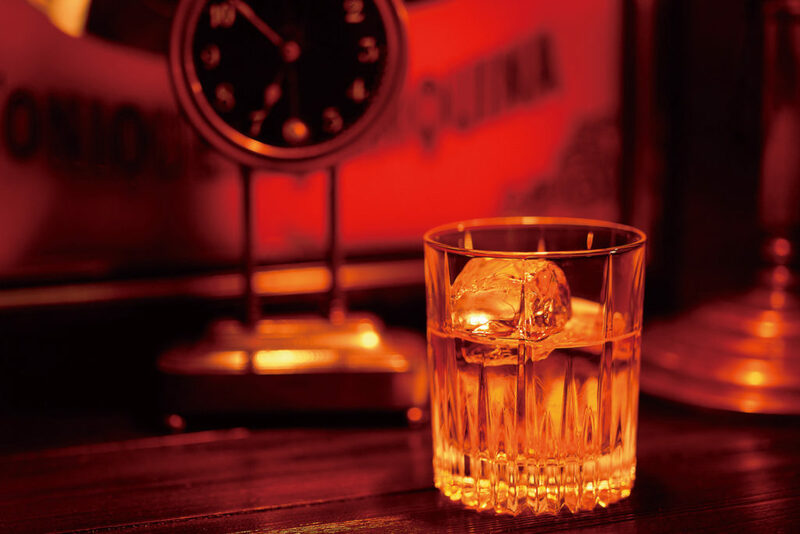 The flavor and taste of distilled alcohol varies considerably depending on what stage the alcohol is extracted from. Tensei-shuzo tried various types of extractions and determined our own method “hayatare” to give supreme palatability. 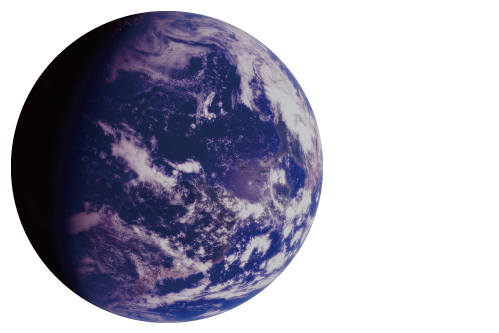 Carbon dioxide created during the farmentation is removed slowly. Then the alcohol is maturated until it has a mellow taste because the minerals in water gradually combine with alcohol. 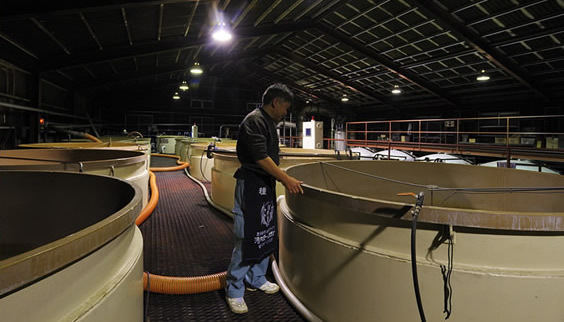 The kind of the containers for maturation is also important for it affects the flavor of the shochu. 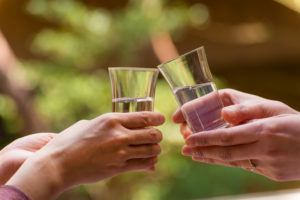 Single distilled shochu is a beverage you can enjoy in many ways.You can drink it straight, on the rocks, diluted with hot or cold water, or mixed with soda or other beverages.